When you want to spoil your loved ones with the freshest and most exquisite flowers, this gift choice is just what you need! 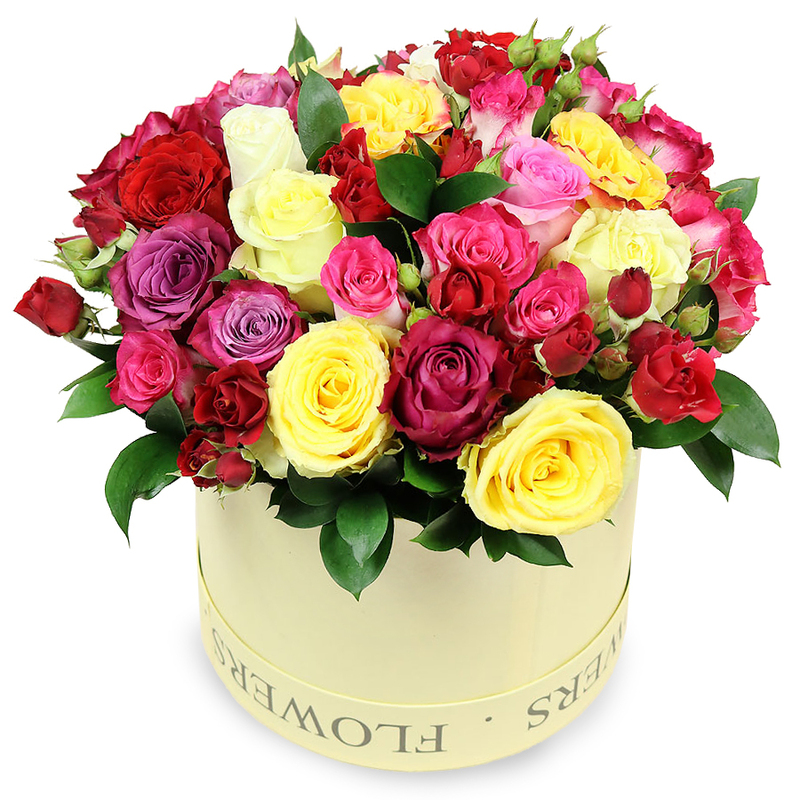 A perfect combination of variety of roses that is presented in white luxurious box for maximum impact when your special gift is delivered! I can't wait to give the box to my girlfriend tomorrow. That is the best birthday gift ever! My favorite combination of colors and flowers. This arrangement is awesome! This box of roses was the most amazing flower arrangement that I received for my birthday. Truly beautiful! Wonderful job. I've received lots of flowers throughout the years but this arrangement is definitely in top 3! I like this fancy arrangement! Very classy and beautiful!